There are few pleasures in life greater than a great steak. 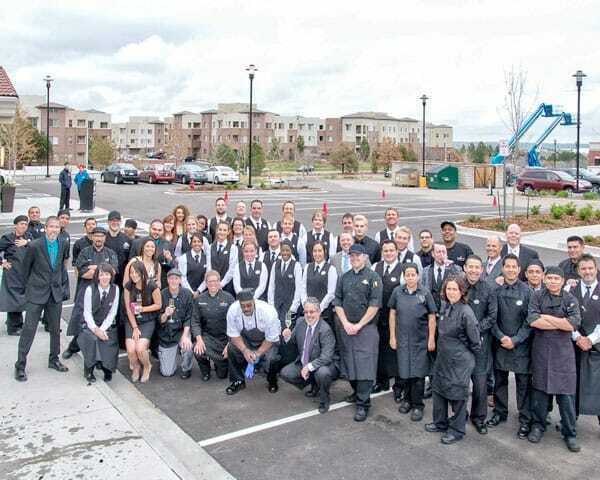 That’s especially true at Eddie Merlot’s, a brand-new eatery in the Denver Tech Center, where steak is king. 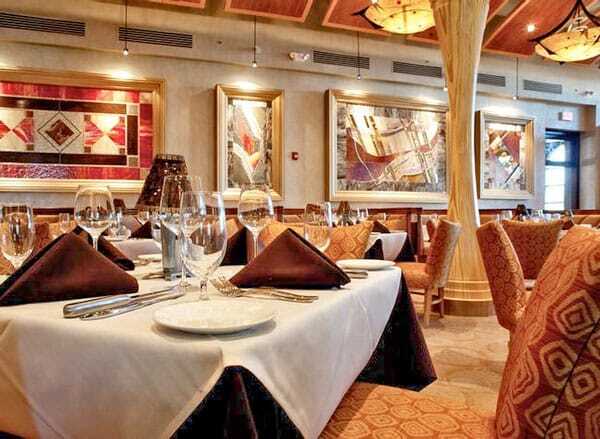 Mouthwatering cuts of beef, ranging from a fork-tender filet mignon to a hearty ribeye, take center stage. Of special note are the menu’s Greg Norman Signature Wagyu cuts – Japanese-style beef, raised in Australia, and known for its superior quality. As the name suggests, wine is the other star player at Eddie Merlot’s, with roughly 2,000 bottles in the restaurant’s prominently displayed, temperature and humidity-controlled wine cellar. On a recent visit, my server walked me through the wine list, which can be accessed on an iPad for a fun, interactive experience. Not only does the iPad contain a bounty of information about each wine, it will make recommendations for diners based on a brief, fun questionnaire, which simply asks about favorite music and vacation choices, coffee preferences, and favorite television selections. Using that information, it recommends several wine choices. Other drink choices include craft cocktails and craft beer. Most selections at Eddie Merlot’s are à la carte, allowing diners to enjoy sumptuous side dishes like parmesan truffle fries, Brussels sprouts with onions and diced bacon, or a rich sweet potato casserole. In a break with steakhouse tradition, however, the menu also prominently features Chef’s Creations, plates that are composed of entrees and sides, with a salad included. Roast chicken, short ribs, and a New Orleans Mixed Grill can be found here, along with a Triple Prime Short Rib Meatloaf. 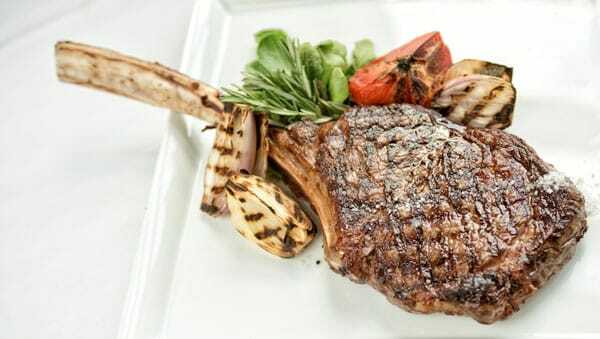 Eating at a steakhouse is usually a treat, a break from the everyday, and a trip to Eddie Merlot’s definitely feels like something special. From the moment I stepped through the doors, I was made to feel welcome and taken care of. The light, contemporary interior décor was matched by friendly, helpful and efficient service. The server, of course, was well acquainted with every item on the menu, but when I chatted up the gentleman who refilled my water glass, he too had an impressive command of what to recommend. On his advice, I ordered the carrot cake for dessert. I was not disappointed. 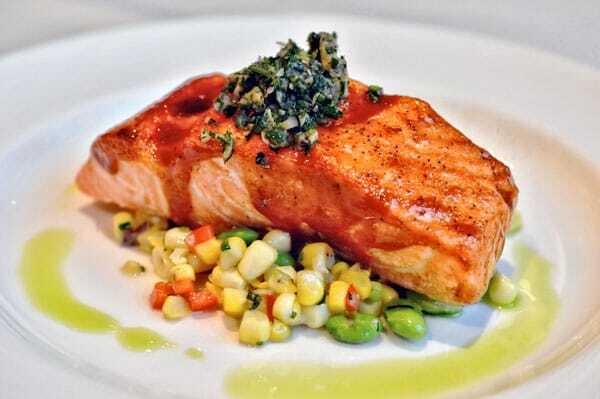 When I visited, I enjoyed a “natural” filet – so called because it is raised without hormones, antibiotics or steroids. Just like all the beef on the Eddie Merlot’s menu, my filet was prime grade beef, a designation given to less than two percent of all beef raised in the U.S. I’m usually a meat-and-potatoes girl, but my server recommended the cauliflower gratin, and because I was in an adventurous mood, I gave it a go. It was a delicious mixture of perfectly cooked vegetables covered in a pleasantly gooey cheese sauce and delicately topped with breadcrumbs. I may never go back to potatoes. The atmosphere is elegant and sophisticated, the perfect place for an intimate group to celebrate a special event. But, special occasions sometimes mean hosting more than a single tableful of people. Eddie Merlot’s can accommodate events for groups large and small for everything from cocktail receptions to full sit-down dinners. Happy hour – which features $3 off cocktails and wines by the glass – is from 4 p.m. until 6 p.m. , Monday through Friday. On Friday and Saturday, live music creates a festive and relaxing atmosphere in the lounge from 7 p.m. until 10 p.m. The restaurant is open daily for dinner beginning at 5 p.m., but during the holiday season between Thanksgiving and Christmas, lunch is served for patrons looking for a festive way to celebrate during the workday. Breakfast and lunch service are also available for private events. 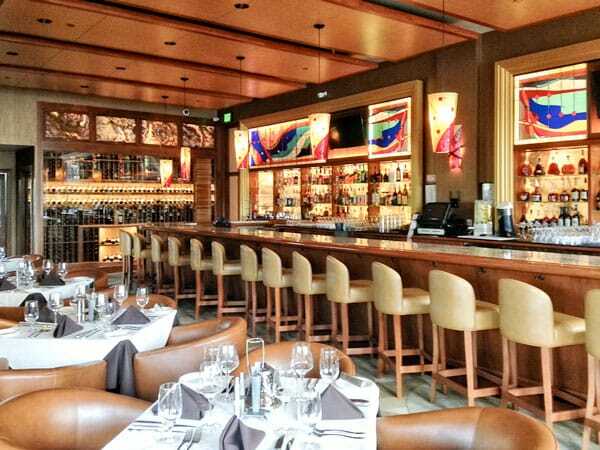 Loyal diners are rewarded at Eddie Merlot’s through membership in a loyalty rewards program called The Platinum Club. To join, diners pay a one-time $25 fee and then receive dining credits and rewards for money spent at the restaurant. “We’re really excited to be open here in Colorado,” said Cahill. “We’ve had a great reception.” For more info about dining or event planning at Eddie Merlot’s, visit www.eddiemerlots.com.